Microsoft wanted to improve registration and viewing of Events to the IT/ Developer community it serves. They wanted to eradicate the confusion around events and gain competitive advantage over industry peers and new 3rd party websites. Upon launching a new site redesign, they wanted ease of use and therefore higher conversion. Experience Dynamics spent time analyzing competitor user experiences, findings flaws and strengths in how competitors promoted events and what features they offered. The expert reviews detailed "do's and don'ts" as well as a benchmarking of where Microsoft was excelling and where they were weak across 15 key tasks. The competitive usability reviews provided another objective external data point for the two teams to compare and contrast new ideas as well as planned functionality. Moreover, the team was able to gain a clearer understanding of how Microsoft Events performed directly against the competition, and where new innovation priorities should be directed. Both the direct observation of users using the actual events website and events registration process, as well as the post-test interviews, allowed Microsoft to directly understand what users needed and what design priorities the team should act on first. Unnecessary or overdone features were scrapped or adjusted to fit the expectations and task flow of actual user behavior. 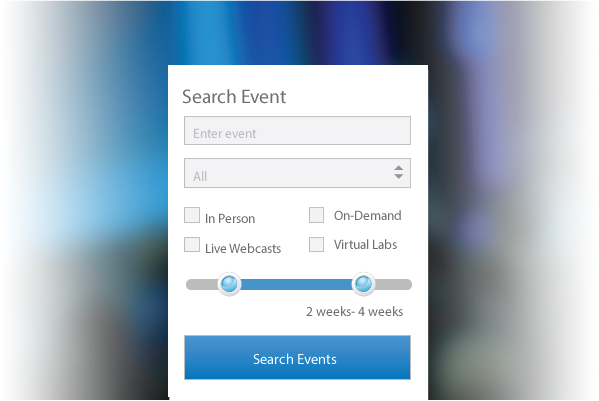 The internal debate about which events search interface to use was quickly put to rest. Our usability testing showed user which aspects of each user interfaces were valuable–with specific elements of each appealing to each audience separately. One user interface was able to satisfy both audiences, resulting in one less database to maintain. Moreover, the search user interface was improved dramatically and feature-creep was tamed using the direct insights from the user testing. It was immediately clear to a cross-functional team what users collectively needed and why. 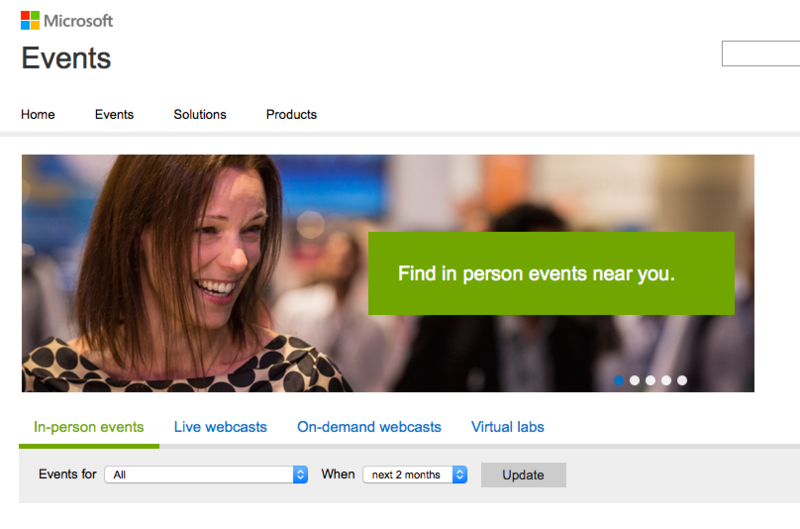 Microsoft's redesigned Events user interface was able to leapfrog key competitors and even future-proof the design with the right targeted UX design elements. Microsoft.com users report an improved events user experience, with a 135% improvement in ease of use improvement over competitor sites in the post-launch site.